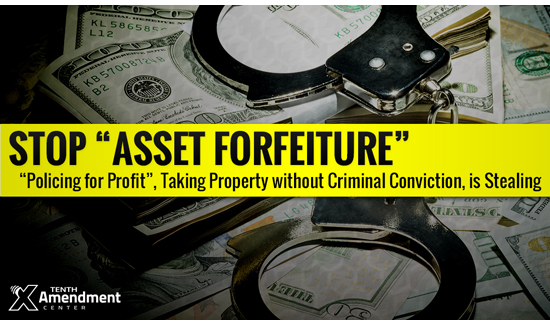 In some parts of the country, tax revenues are so low and law enforcement agencies are so starved for cash, local law enforcement just can’t make it without seizing Americans’ property and capital. Whether or not the target (sometimes referred to as a “mark,” actually committed a crime is frequently a secondary consideration in places where it’s legal for law enforcement officers to steal from the citizenry. 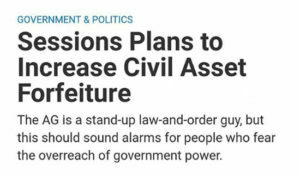 In places where officials are trying to clean some of this crap up, proposals to at least make sure someone is convicted of a crime before the state takes all their stuff, resistance has been swift and fierce from those that benefit from asset forfeiture- police and prosecutors. 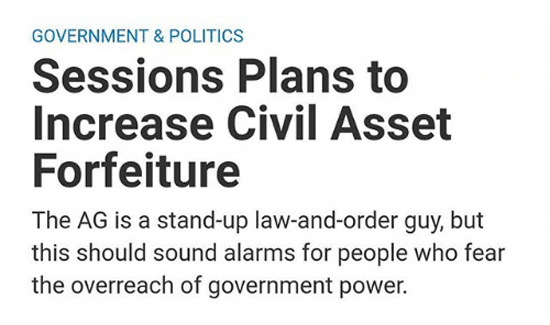 In Alabama, there are some proposals to better protect the people from the state. But it’s going to be a tough fight. Tim Glover, director of the Lauderdale County Drug Task Force, explains things perfectly. He says when the Alabama Law Enforcement Agency created state drug task forces, they used the money the locals used to get to fund them. Others say this all much ado about nothing. “No drug task force or agency I know of has a problem with that (requiring a conviction before seizure) because 99 percent of the time there is a criminal case made,” said Curtis Burns, director of the Colbert County Drug Task Force. But Burns might not be aware of the fact that both the Alabama Sheriff’s Association and the Alabama District Attorney’s Association have come out against the idea that we should make sure somone’s guilty of a crime before we take their stuff.